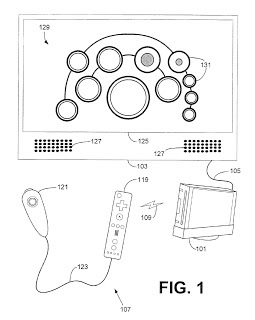 Issued October 14, 2014, to Activision Publishing, Inc.
U.S. Patent No. 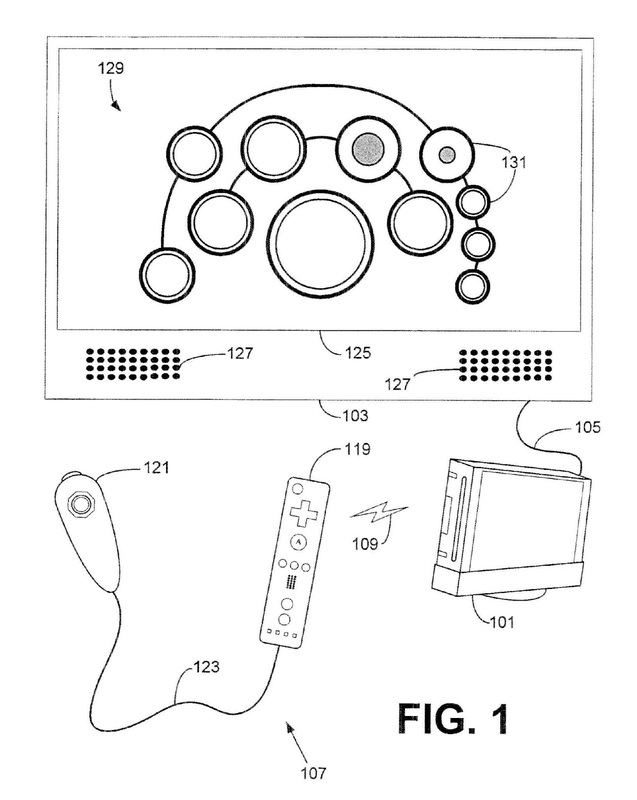 8,858,330 (the ‘330 Patent) describes a music rhythm game that uses motions controls without any peripheral equipment. An excellent example of the ‘330 Patent is a game with virtual drums. The game represents the drums on the screen. To play the virtual drums, the user must do the correct controller inputs, which could include motions. A person using the Nintendo Wii might have to swing the Wiimote down for the system to register an input. A drum sound will be played on the television once the system logs the input. The ‘330 Patent is not limited to just motion controls; a player can use traditional controller inputs as well. A video game maps each of a plurality of outputs to inputs associated with a video game controller. In some embodiments, the plurality of outputs represent the various potential outputs of a drum set. Combinations of video game controller inputs are used to generate the outputs. Video game controller inputs include traditional input devices such as button inputs, as well as input signals generated from positioning and movement of the video game controllers. In some embodiments, a video game console provides a video representation of the outputs generated by input combinations received from the video game controllers. 1. A method of providing audio and video outputs for a video game, comprising: receiving an input signal from a video game controller, the input signal being based on an output of an accelerometer of the video game controller; receiving additional signals from a plurality of additional inputs on the video game controller, the additional signals being based on status of a plurality of buttons of the video game controller, at least one combination of the additional inputs being associated with a predefined sequence of successive audio outputs; selecting one or more audio outputs to output based on the input signal and the additional signals, the one or more audio outputs including the predefined sequence of successive audio outputs; and determining a video output based on the selection of the one or more audio outputs.